Want it by Friday 26th April? Order within 19 hours, 8 minutes and choose Royal Mail Tracked 24 Hour at checkout. Stand out this season with this gorgeous colourful Lolly Striped jumper! 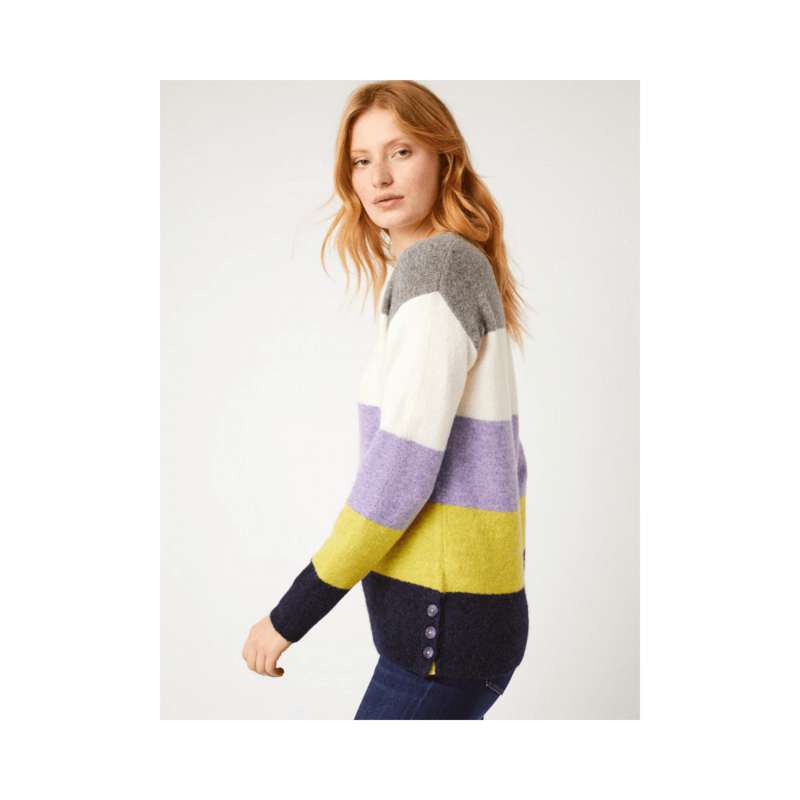 Crafted from soft, cosy sponge yarn this stylish jumper features bold horizontal blocks of colour, crew neck and side buttons. Sure to be a new favourite this season!